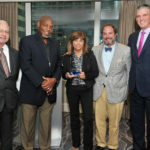 Kathie Durbin of the Montgomery County, Maryland, Department of Liquor Control receives Leadership in Alcohol Regulation Award. Alexandria, Va. – The Center for Alcohol Policy is pleased to announce that Kathie Durbin, chief of licensure, regulation and education at the Montgomery County, Maryland, Department of Liquor Control, is the recipient of the Fifth Annual Leadership in Alcohol Regulation Award. 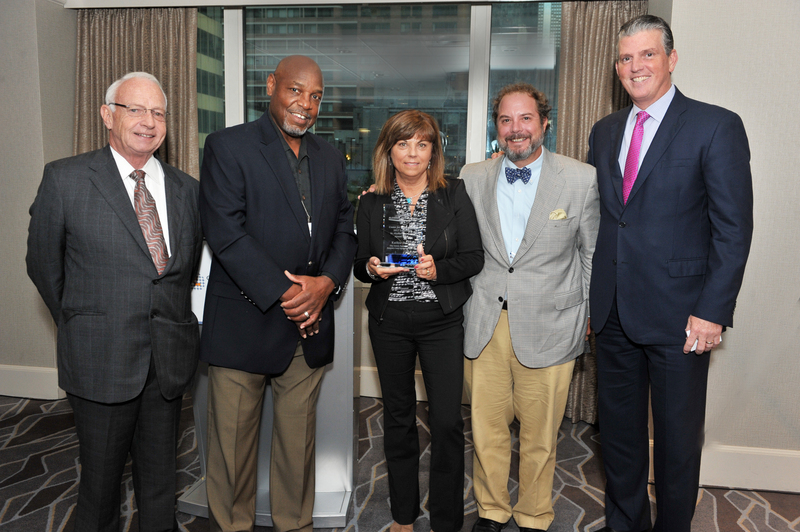 The award, which recognizes a specific program, agency or person who oversees the alcohol industry and promotes public safety, was presented by the Center’s Advisory Council at the 10th Annual Alcohol Law and Policy Conference, in Chicago, Illinois, last week. Durbin oversees many educational resources that not only protect public safety, but also improve the business environment in the county. She helped to establish the Alcohol Law Education & Regulatory Training (A.L.E.R.T.) program, offered by the department twice a month, at no cost to attendees to improve compliance with alcohol laws; a revamped Compliance Check program; and a Mystery Shop program, among others. Durbin is known for her fair and consistent approach to alcohol regulation and willingness to work with all stakeholders, including the public health community, law enforcement, businesses and other regulators to improve public safety. Spearheading the Annual Maryland Alcohol Forum, Durbin brings together alcohol license administrators and law enforcement to discuss policy priorities, trends in public health and licensing and enforcement best practices.